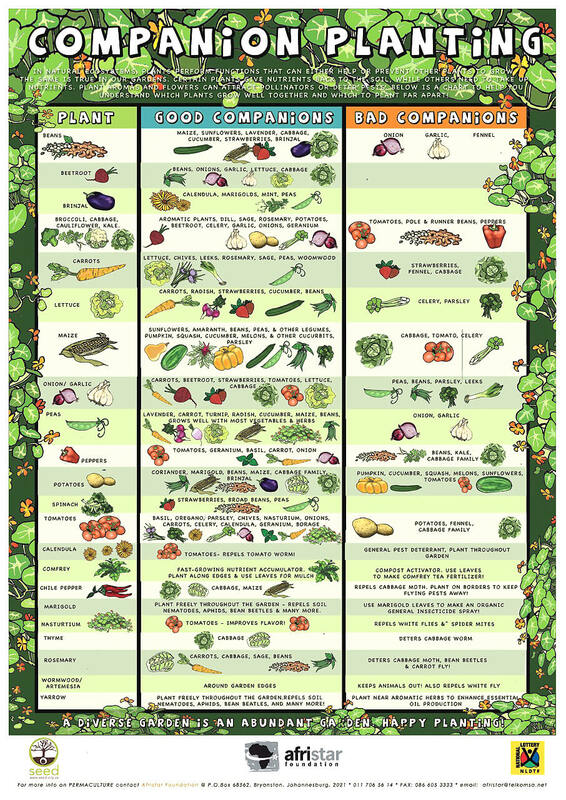 Garden Tower Project > Companion Planting Reference Guide: Why and How? 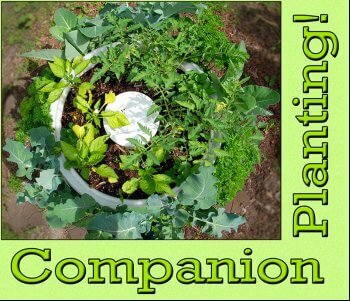 Companion Planting Reference Guide: Why and How? Companion planting allows you to select plants that benefit each other in a number of different ways; moreover, many common garden plants have allelopathic effects which means they can slow the growth of certain types of neighboring plants! The composting vertical Garden Tower is the definition of a companion planting system — 50 plants in 4 square feet at six elevations guarantees plant-to-plant interactions at the stem and root levels. The following tables offer valuable insights for plant selection and design in a Garden Tower or conventional garden. Brassicas Brassica potatoes, cereals (e.g. corn, wheat) geraniums, dill, alliums (onions, shallots, garlic, etc. ), rosemary, nasturtium, borage wireworms mustards, nightshades (tomatoes, peppers, etc.) Brassicas are a family of species which include broccoli, cabbage, Brussels sprouts, kohlrabi, and cauliflower. Beets Beta Vulgaris lettuce, kohlrabi, onions and brassicas Catnip, Garlic, Mint Runner or pole beans Good for adding minerals to the soil through composting leaves which have up to 25% magnesium. Runner or pole beans and beets stunt each other’s growth. Carrots Daucus carota Tomatoes, Alliums (onions, chives, etc. ), lettuce alliums (leeks, shallots, etc. ), rosemary, wormwood, sage, beans, flax assassin bug, lacewing, parasitic wasp, yellow jacket and other predatory wasps Dill, parsnip, radish Tomatoes grow better with carrots, but may stunt the carrots’ growth. Beans (which are bad for tomatoes) provide the nitrogen carrots need more than some other vegetables. Aromatic companion plants repel carrot fly. Alliums inter-planted with carrots confuse onion and carrot flies. Eggplant or Aubergine Solanum melongena Beans, Peppers Marigolds, tarragon, mints Marigolds will deter nematodes. Peppers Solanaceae, Capsicum themselves, marjoram tomatoes, geraniums, petunias Tomato Hornworm beans, kale (cabbage, Brussels sprouts, etc.) Pepper plants like high humidity, which can be helped along by planting with some kind of dense-leaf companion, like marjoram and basil; they also need direct sunlight, but their fruit can be harmed by it…pepper plants grown together, or with tomatoes, can shelter the fruit from sunlight, and raises the humidity level. Parsnip Pastinaca Sativa fruit trees a variety of predatory insects The flowers of the parsnip plant left to seed will attract a variety of predatory insects to the garden, they are particularly helpful when left under fruit trees, the predators attacking codling moth and light brown apple moth. The root also contains Myristricin, which is toxic to fruit flies, house flies, red spider mite, pea aphids. Tomatoes Solanum lycopersicum roses, peppers, asparagus basil, oregano, parsley, carrots, marigold, Alliums, celery, Geraniums, Petunias, Nasturtium, Borage, any type of onion or chives Tomato Hornworm asparagus beetle Black walnut, corn, fennel, peas, dill, potatoes, beetroot, brassicas (kohlrabi, cabbage, etc. ), rosemary Dill attracts tomato hornworm. Growing basil 10 inches apart from tomatoes can increase the yield of tomatoes by about 20%. ^ a b c Bomford, Michael. “Yield, pest density, and tomato flavour effects of companion planting in garden-scale studies incorporating tomato, basil, and Brussels sprout.”. Organic eprints. Retrieved 5/2/2012. ^ “Fruit Tree Companion Planting”. small-farm-permaculture-and-sustainable-living.com.